Autodesk, Inc. (NASDAQ: ADSK) is launching a new version of Autodesk BIM 360 Glue, a cloud-based Building Information Modeling (BIM) solution. Autodesk BIM 360 Glue extends the BIM process from design to construction by providing all stakeholders access to project information for model coordination and clash detection via desktop, mobile and web. The introduction of mobile devices into the construction industry is transforming the way that projects are built and managed. With BIM 360 Glue, enhanced cloud-based collaboration and mobile access help ensure that the entire project team can participate in the coordination process, minimizing the coordination cycles and providing teams with tools to view the designs wherever they are located. Extended project design and construction teams can use one-click access to review the latest project models and run clashes in real-time, saving time and money on design and construction projects. The new release provides a redesigned and optimized user interface as well as support for larger project models, and improved coordination with Autodesk Revit, Autodesk AutoCAD, and Autodesk AutoCAD Civil 3D. With BIM 360 Glue, users can move more seamlessly between Autodesk Navisworks software products and BIM 360 Glue for more intelligent and connected workflows. Now supporting more than 50 different 3D formats, customers can use BIM 360 Glue for team-based coordination and then bring the coordinated models directly into Navisworks software. From there they can take the project even further with advanced analysis, 4D animated timelines, and model-based quantification. The updated BIM 360 Glue mobile app also provides better anti-aliasing and support for Navisworks models to deliver virtually “anywhere access” to critical project data. Rodd Merchant, senior vice president of JE Dunn, said, “We believe BIM 360 Glue will take our construction services to the next level.” JE Dunn Construction is a leading provider of construction management services, design-build, and integrated project delivery. Coordinating models across the extended project team requires significant file management, which can slow down the collaboration process. With BIM 360 Glue, the extended project team has one-click access to the latest models in the cloud at any time, simplifying coordination and allowing contributors to run their own clashes, reducing the coordination cycle and helping save on project duration and cost. The latest release of BIM 360 Glue and 30-day free trial are available as of May 13th, 2013 and are available globally, sold and supported in English. Autodesk, the Autodesk logo, BIM 360 Glue, Revit, AutoCAD, Navisworks and Civil 3D are registered trademarks or trademarks of Autodesk, Inc., and/or its subsidiaries and/or affiliates in the USA and/or other countries. Academy Award is a registered trademark of the Academy of Motion Picture Arts and Sciences. All other brand names, product names or trademarks belong to their respective holders. Autodesk reserves the right to alter product and services offerings, and specifications and pricing at any time without notice, and is not responsible for typographical or graphical errors that may appear in this document. 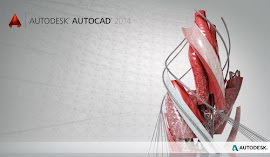 © 2013 Autodesk, Inc. All rights reserved.